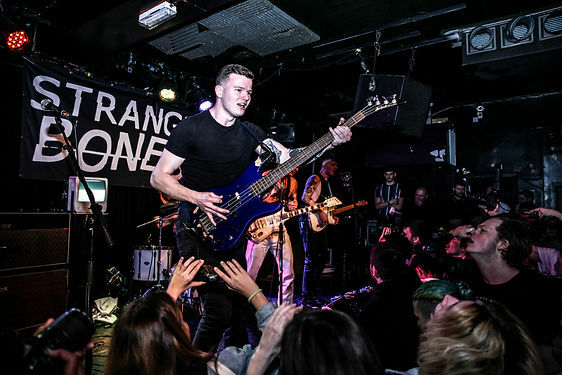 Strange Bones and Rascalton took over The Lexington during their joint headline tour; their astounding and raucous performances ripping straight through the centre of the venue, inciting a riotous audience. First up were Rascalton, whose punk-esque swagger and stylish musicianship lead to a packed out room with audience members pushing their way through to try and make it to the front. 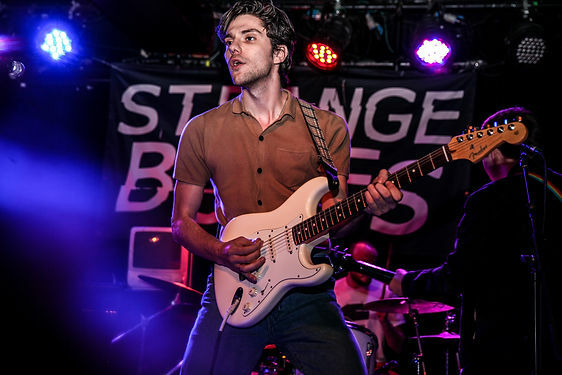 Effortless and unruly, Jack Wyles smooth Glaswegian accent could be heard through his lead vocals as he yelled into the microphone, throwing his guitar around and at one point losing his guitar strap (resulting in a crew member running onstage to fix it). Rascalton were met with an onslaught of applause as they thanked the audience at the end of their set, strolling offstage, and disappearing into the night. Half an hour later the crowd gathered back for Strange Bones, noticing the TVs that had been placed around the stage. As the lights went down, these came on. 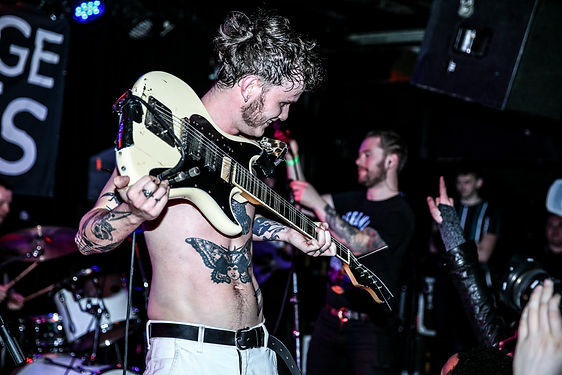 Each band member came on stage to a mass mix of sirens, audience yells and heavy music, before lead singer, Bobby, strutted onto stage, making his presence known to the room. Throughout the first song, his voice was distorted by the microphone, creating an eerie and unnatural atmosphere that left people wondering what was going to happen next. And then, without any warning or hesitation, Bobby was in (on?) the crowd, being carried around like he was meant to be there all along. 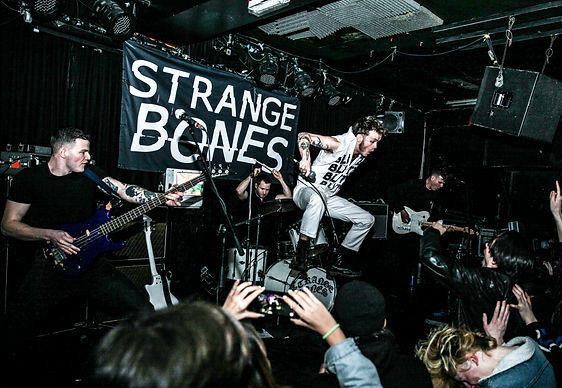 Strange Bones are known for their anarchic live shows, this gig proved no different. 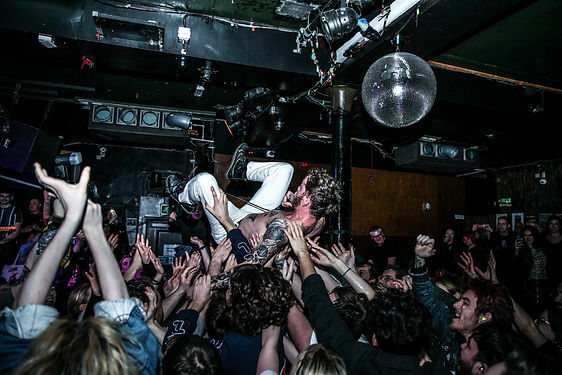 The crowd knew what the band wanted and gave it to them by the bucket load, throwing each other around as sweat filled mosh pits took over the venue. 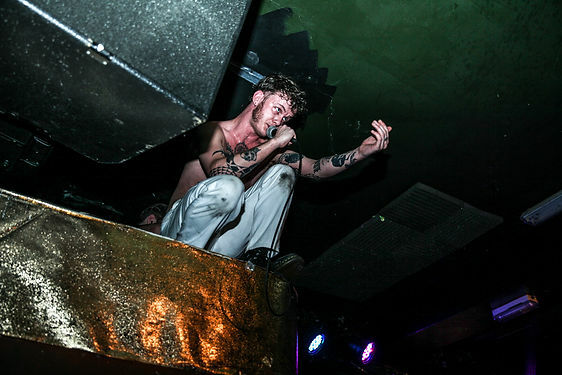 Again and again lead singer Bobby would jump back into the crowd, encouraging them to carry on in the same manner, with a crew member constantly on hand to pull him out and save the microphone that he was somehow still holding. More Elly Bailey. & Sandy K Moz? 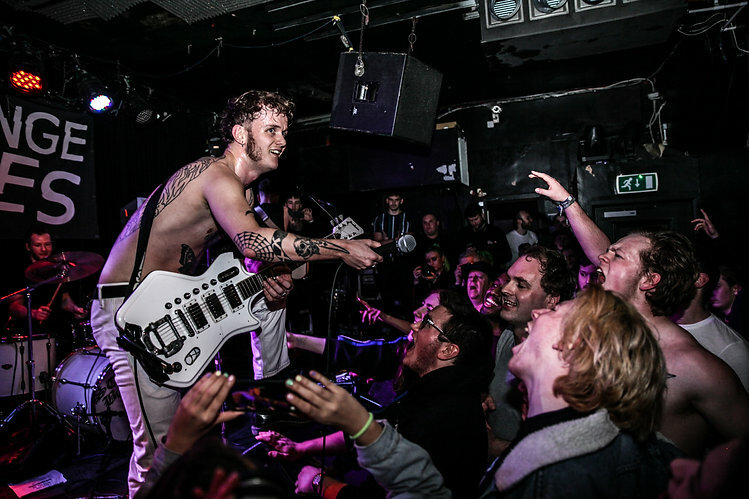 Innovative Photographer and writer for The ZineUK, Elly Bailey is a SUPERtalent. You’ll find her at the front of all the hottest gigs in town, and as the instigator in some of our most in-depth interviews.